Brand New Vinnies Shop in Coogee - now open! Vinnies is delighted to announce the opening of a brand new shop in the heart of Coogee! Located at 212 Coogee Bay Rd, the shop is open Monday to Saturday from 9am to 5.30pm and on Sundays from 10am – 4pm. Come in and browse the racks for a wide range of women’s, men’s and children’s clothing, accessories and footwear, shoes, bric-a-brac, homewares and books. A Shop with Heart, in the Heart of Greystanes! Vinnies are very excited to announce the opening of our brand new Vinnies Greystanes Shop on Saturday 8th December from 10am! With over 1,000m of shopping space, you are sure to find a fabulous find in our bright new Shop. There will be so much to choose from with a great range of women’s, men’s and children’s clothing, accessories, furniture, home wares, books, toys and so much more! Vinnies Greystanes is located at 433 Great Western Highway, just next to McDonalds, and will be open from 9am – 5pm Monday through Saturday and 10am – 3pm Sundays. Celebrate Dressed by Vinnies Day on Friday 26 October with us. 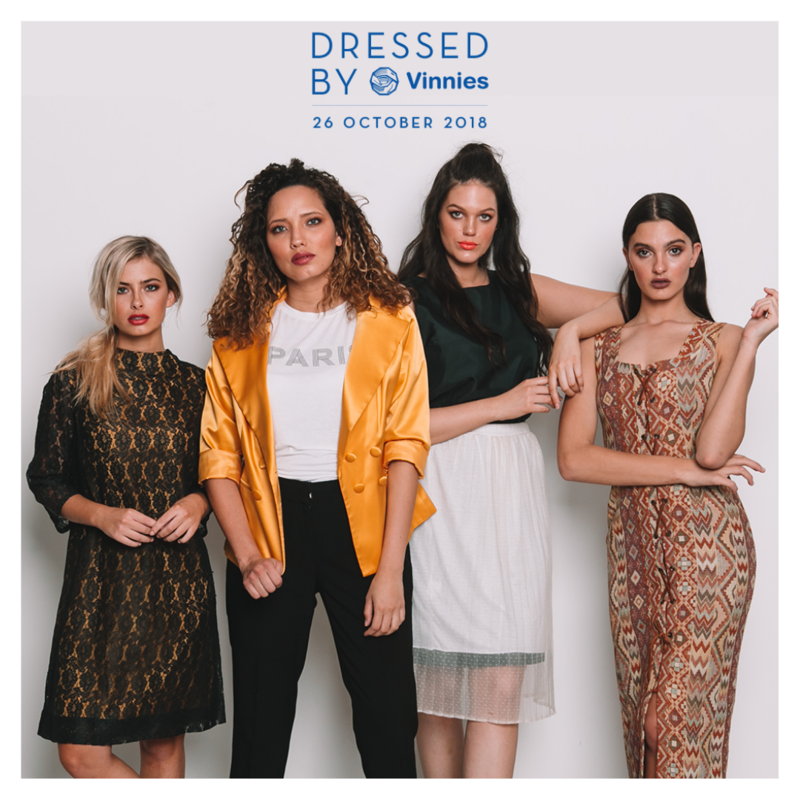 Visit your nearest Vinnies Shop and find a fabulous wardrobe addition, then wear it and share it using the hashtag #DressedbyVinnies on social so we can see you. Download your free Vinnies Style Guide for top tips to making the most of your shopping trip. Share the Vinnies fun! Get your friends together and Host a Dressed by Vinnies Day at work, uni, or school. Download your free Host Guide, posters and more and have a fashionable and fun Dressed by Vinnies Day.